It’s Wednesday and so it’s time to share with you another version (episode? chapter? instalment? you get what I mean…) of What I Ate Wednesday. The past few weeks have been pretty standard; uni has picked up and I have quite a bit of work to do for that. I’m still exploring London and meeting new people, and also adjusting to the cold fall weather. All in all life is pretty good at the moment. That’s all I have to update you on, so here’s what I ate on a typical day last week! 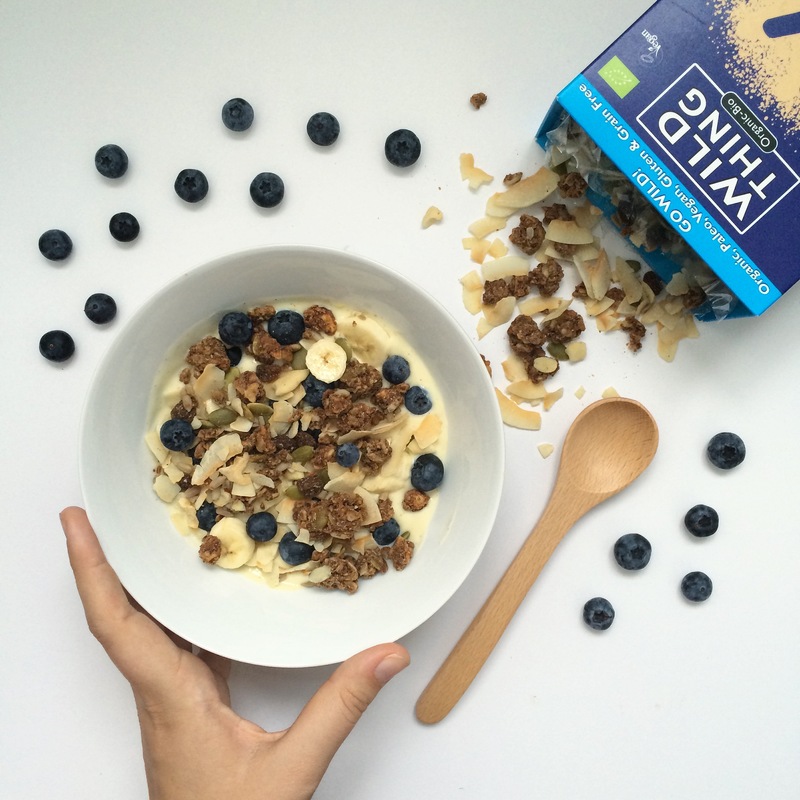 I’m definitely on a soy yoghurt and granola kick at the moment, it’s such a filling breakfast and always so tasty. While I like to make my own granola, I have really been enjoying this Island Coconut Granola from Wild Thing; the ingredients are simple and organic, plus I love the coconut-y flavour. If you ever find this in store I definitely recommend giving it a try! Yes, I’m so original, I know. My 11am coffee with vanilla soy milk is a staple in my routine. 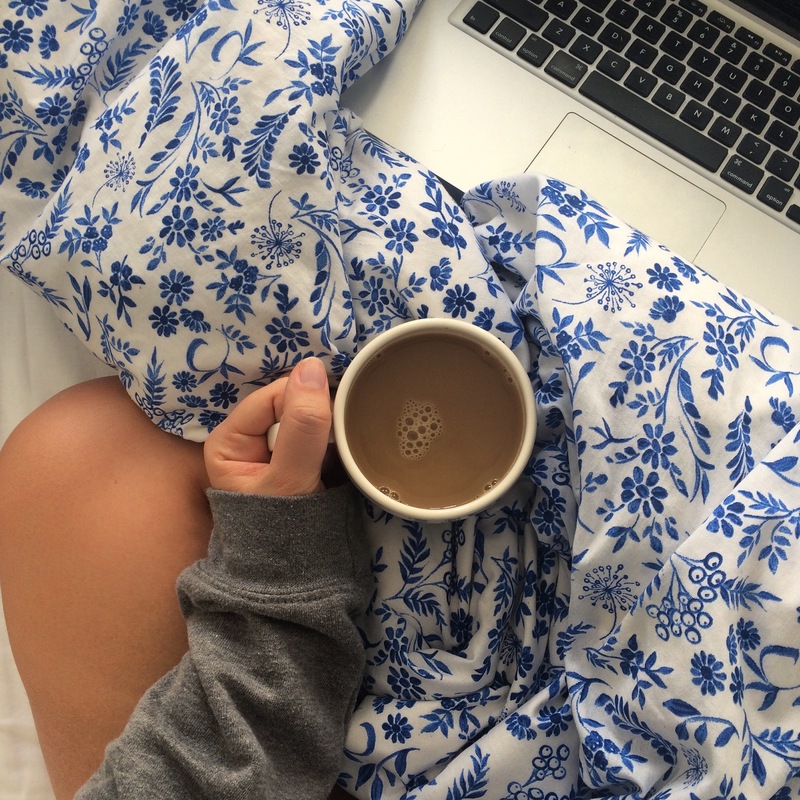 And when I’m feeling very lazy (like I was on this day), I enjoy it in bed whilst watching some youtube video’s; it’s a bad habit I don’t want to break quite yet. 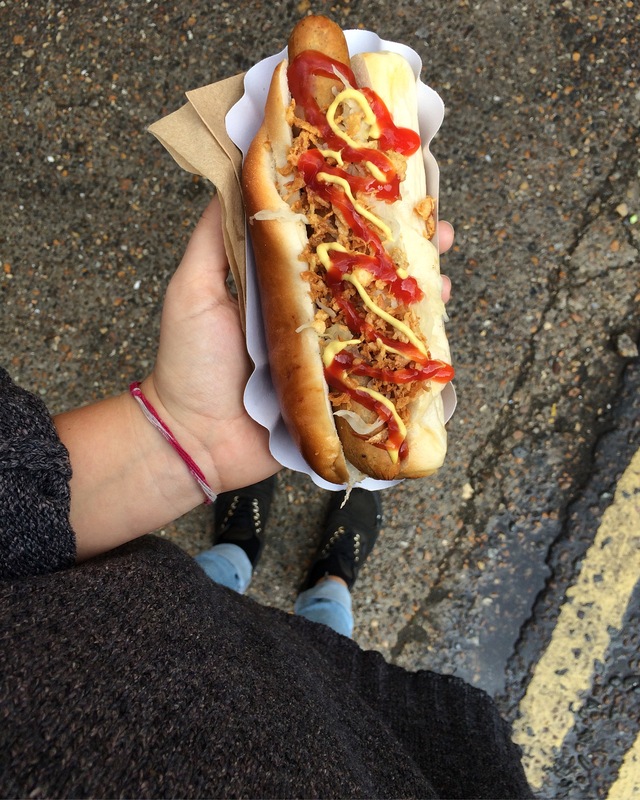 London is amazing for it’s vegan options; I went to Maltby Street Market and found this vegan hot dog with caramelized onions and lots of condiments. It was delicious, and I swear if a meat eater would try it they wouldn’t taste the difference. I love seeing that vegan options are becoming more normal; it’s such a big step in the right direction. 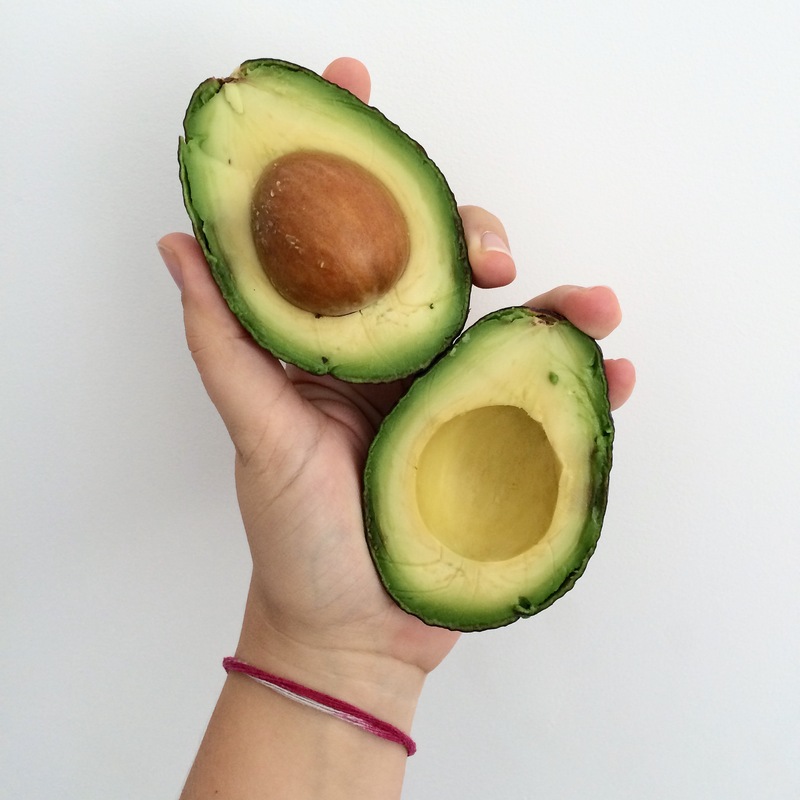 Avocados, my one true love. I could easily eat one of these a day, but my budget doesn’t quite allow that. So I ration myself to two a week; it’s a party when I can have one. I usually mash mine on toast and top it with some onion salt and balsamic vinaigrette; it’s a golden combo. I’m so happy sprouts are back in season! These bad boys and so delicious and super cheap. 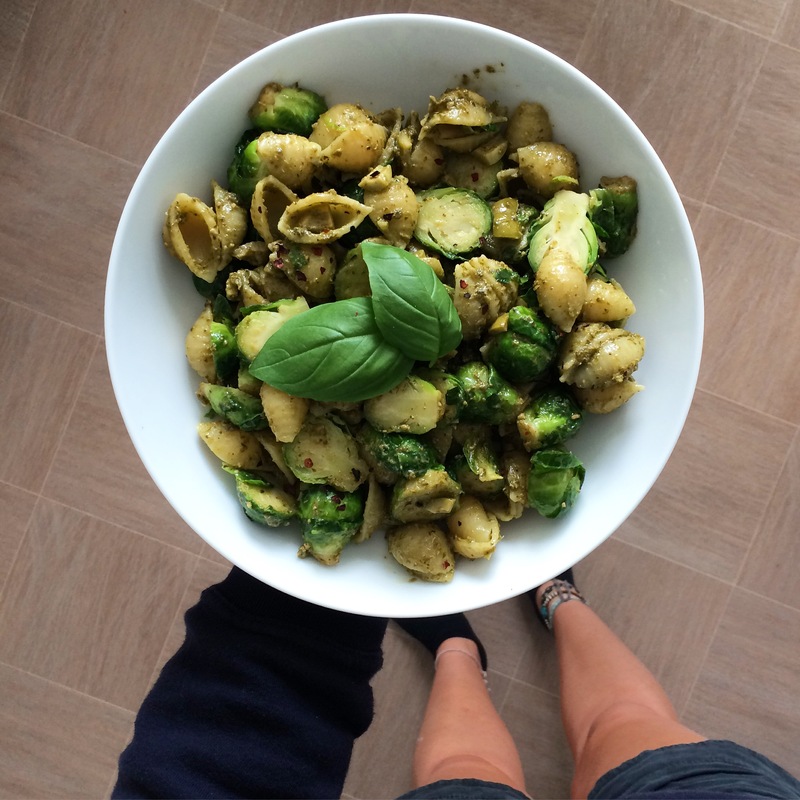 This time I had them with pasta, green pesto and olives. A super quick meal after a busy day. What’s your go-to quick meal? Let me know below! Remember that you can follow me on Instagram for daily vegan food pics and badly-written captions (I’m still learning…).